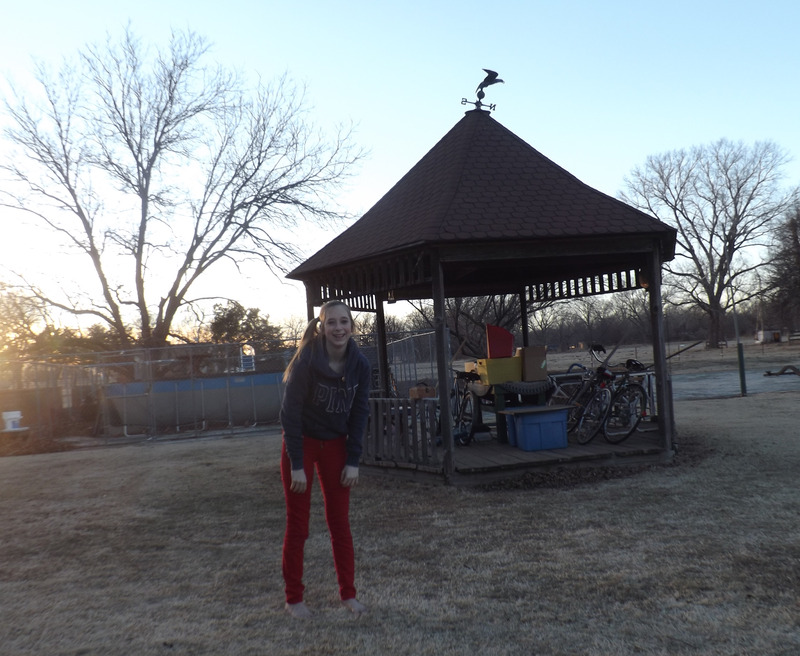 Teen Daughter by the gazebo at the Ancestral Manor. 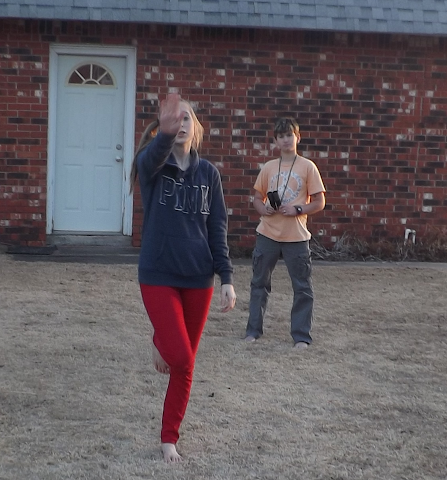 Southern Cousin watches as Teen Daughter launches into a cartwheel. 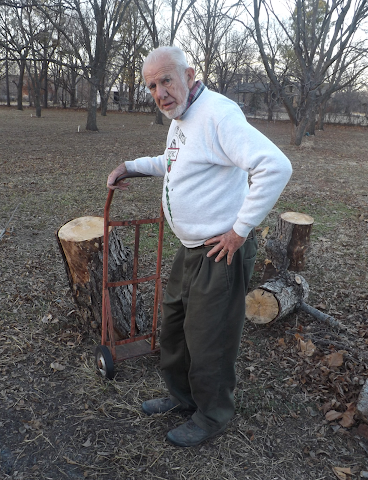 Southern Father contemplates his firewood stash.